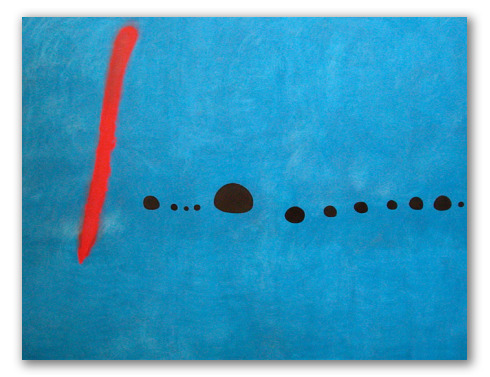 "Blue II" by Miró, Surrealist and Minimalist Painting. 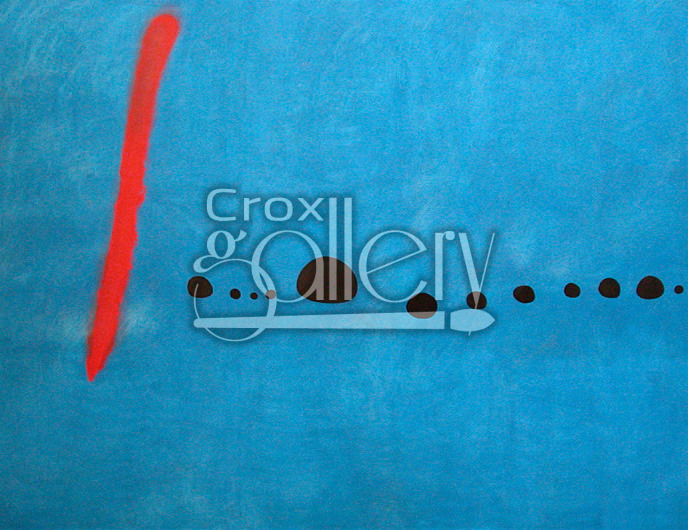 Minimalist work of art using blue, black and fuchsia colors. Surrealist painting by Joan Miró.